Where Are Our San Diego Customers? 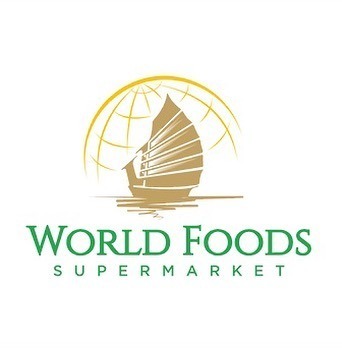 World Foods Market Is... – Juka's Organic Co.
World Foods also sells seafood and lots of veggies so make your way there for a healthy weekend dinner. Fitness is all about 20% exercise and 80% nutrition. Thus, health requires healthy food. Until recent days, coconut oil gets the most attention whereas today the virgin and unrefined version of red palm oil has taken most of the market attention. Red palm oil has some of the amazing key components that make it so unique. It holds a substantial place today in the human diet. Consumption of red palm oil regularly with your food items can promote arthrosclerosis or arterial thrombosis. Red palm oil is also loaded with Carotenoids, Sterols, Vitamin-E, Phenolic Acids, Flavonoids, and water-soluble powerful antioxidants which allows reduced risk of a variety of diseases like Alzheimer’s disease, arterial thrombosis, atherosclerosis, cancer, cataracts, cognitive impairment, macular degeneration, blood clotting, high cholesterol levels, high blood pressure and Vitamin-A deficiency. Do You Want Free Shipping? Cannot Find A Store Near You? Take advantage of Walmart "Site To Store" Program. Go to walmart.com search for Juka's Organic., once you see a list of our products, you can order our products and choose Free Pickup during checkout. Choose the closest Walmart store to pick up your order from! You will Receive a confirmation when your order is delivered to your Walmart store for pickup! Please be patient with us while Walmart add the rest of our products on their website. To order from Walmart, please Click Here. You can also buy our red palm oil, baobab fruit powder and the rest of our products from walmart.com and get it shipped to your mailing address if the items are on sale and the shipping fees are cheaper than our shipping fees. Juka's Organic Co., was established in 2013 by Juka Ceesay. After owning an African food market in 2008 in the City of Los Angeles for several years. Juka realized there was a lack of authentic, pure and natural products in the united states from Africa. Her objective is to combine a variety of innovative items (Organic Red Palm Oil, Shea butter, Herbal Medicines, African Tea, African Whole Grain and lots more) from the historic past of Africa to tailor them to fit today's contemporary life while still maintaining the authenticity of these products. Juka's has partnered up with women from small villages of West Africa to exclusively supply their hand selected, unrefined sustainable organic red palm oil. All the women that work with Juka's use the traditional method of natural palm oil extraction, this is the same method that has been used throughout small West African villages for centuries. The best palm oil is the sustainable type that comes from the continent of origin, West Africa. Palm trees are part of villages in Africa for centuries, each generation of women sustainably produce their palm fruit oil as their main source of income and proudly pass it on to the next. Juka Talks About Our Mission & Company Story With Good Morning Lala Land. Juka was honored to share Juka’s Organic Co., story with Good Morning Lala Land. Our mission to partner up with women farmers to elevate Africa through sustainable trade continues after 5 years of being in business. We also continues to strive to bring the best organic, health food and beauty products to the Western market. When you buy any of our products, To support our mission and to experience our wonderful & healthy products (Extra Virgin Red Palm Oil, Cold Pressed Coconut Oil, Shea Butter, Baobab Fruit Powder & More), it benefits your health tremendously and it also contributes to Africa’s future. Watch our recent interview with one of our customers, Benjamin Chavez who said his leg was remarkably saved from being amputated after he used our red palm oil for several months. We at Juka's Organic Co., are committed to maintaining the highest quality products and the utmost integrity in business practices. Our goal is to be the premiere destination for buying natural and organic products for health, wellness and beauty from the continent of Africa. Our dedication to superior customer service, competitive pricing in stores around the U.S has allowed us to expand to an online store for your convenience. Juka Speaks With Pop Fuzion TV About The Motivation Behind Working With African Women To Help Improve Their Livelihood. Red Palm Oil's # 1 Rule! Is It Red When You First Open It? Still Red Even After Several Months? Okay You Are On The Right Track Then! Copyright © 2019 Juka's Organic Co.